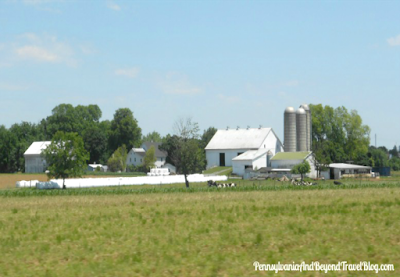 Often times when we're looking for something to do, we'll jump into our car and head down to Lancaster County in Pennsylvania. We enjoy driving around on the back roads and checking out the old farms, barns and silos that we come across. A lot of the old farms and barns that you come across in Lancaster County are Amish owned and operated. 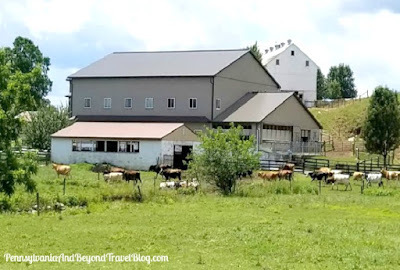 Don't be surprise to see the Amish men, women and children out working in the field, the Amish women hanging up laundry to dry, the kids playing in the yard and even better yet...when you pass by an Amish horse and buggy going down the road. We enjoy checking out these old farms and photographing them for our blog. With that said, it's VERY IMPORTANT that you photograph them from a distance, block out any identifying information and NEVER venture onto private property. These people deserve to keep their privacy and they don't appreciate strangers wandering onto their land. If you're unfamiliar with the area and driving around on the back roads, I do suggest that you use a good GPS system, so that you don't get lost. Next, we enjoy packing a picnic lunch when we go on these drives and often find very nice places where we can pull over and enjoy our lunch out in the beautiful countryside. 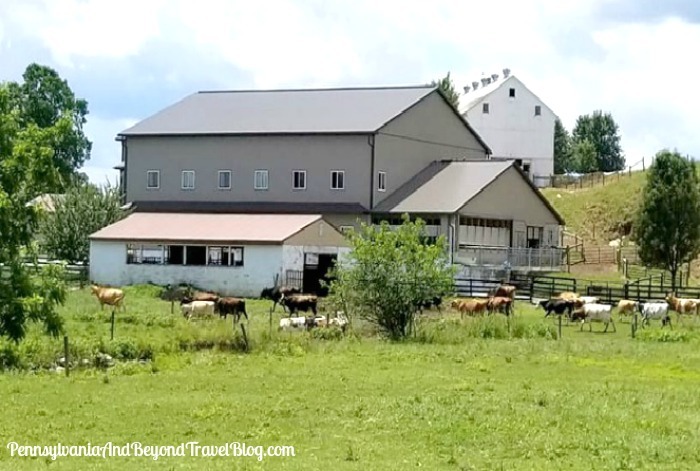 Today we're featuring a few photographs of these gorgeous old barns and farms that we came across on a recent drive through Lancaster County, Pennsylvania. We've removed any identifying information, but I can tell you that ALL of them are indeed located within the county. Some are Amish-owned and other's aren't. All are beautiful in their own way. If you're looking for something fun to-do, we suggest piling into the car and taking a drive along the back roads to check out the beautiful countryside here in Pennsylvania. It's something that we enjoy doing and do it a few times every year.